Application performance problems can often go overlooked. Despite quick response time, businesses may not realise the impact a SQL statement has on the server. “Organizations do not know how to analyse their databases to identify underlying issues,” says Scott Hayes, President and Founder. For example, a SQL statement running in an application may have a rapid half-second response time but is using 70 percent of all the CPU on a server. This is where Database-Brothers Inc. (DBI), which offers performance monitoring, tuning, and trending tools to help businesses improve performance and conserve resources-- can make a difference. With the analysis and solutions provided by DBI, the cost can be reduced from 70 percent to five percent and at the same time, the response time can be shortened to just hundredths of a second. Founded in 2005, the DBI team has over eighty years of collective DB2 UDB (LUW) experience. Partnering with industry leaders, they can provide superior service to clients worldwide, across numerous verticals. Their mission is to help people achieve their goals and earn 5-star performance reviews. DBI software is the missing link between agility and automation. Scott explains, “We bring the problems to light before they become a performance disaster, helping companies run smoothly even during peak periods.” DBI’s award-winning, patented, Db2® performance analysis methods take only seconds to identify issues and automatically generate reliable solutions. Once a solution has been proposed, DBI takes the solution a step further to help mitigate the risk. As organisations become agiler in their development cycles, it becomes increasingly imperative to be able to understand, react to, and swiftly address the application performance consequences of changes. In just three mouse clicks, DBI Software can show DBA operation teams and managers the consequences of changes, both good and bad, with details, trends, and side by side comparisons for rapid resolutions. DBI Software provides more than performance analysis, tuning, trending, and alerting tools for IBM Db2 LUW. 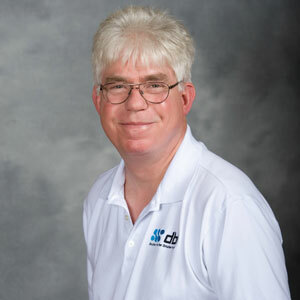 Their customers appreciate that DBI’s support team provides ongoing performance coaching, acting as mentors to customer DBAs and their AppDev teams. This is the reason DBI software has a 98 percent year over year maintenance and support renewal rate. DBI customers span the globe in every industry and include banks, insurance companies, and top retailers. Recently, DBI helped a customer with an agile development environment as they prepared to implement a new release. Testing and monitoring with DBI software revealed that there was a severe problem, and a solution was automatically generated and provided. The customer implemented the solution, but in the course of testing the solution, the application team injected new problems into the application, which were also revealed by DBI software. The firm was able to help improve the application and save the organisation from performance failure.